Bonggamom Finds: Disney on Ice presents Disney Pixar's Toy Story 3! 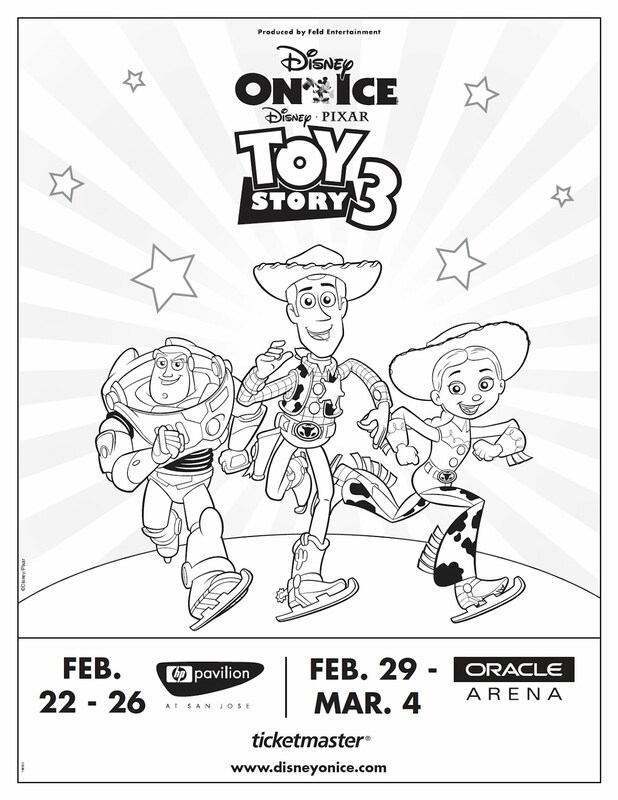 Disney on Ice presents Disney Pixar's Toy Story 3! Have you heard the buzz? The toys are back in town! 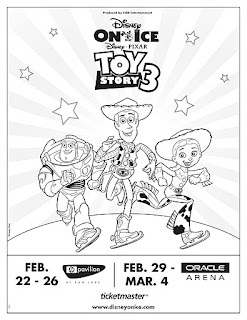 Disney On Ice presents Disney•Pixar’s Toy Story 3! The Academy Award®-winning blockbuster, Toy Story 3, and memorable moments from Toy Story and Toy Story 2 are hitting the ice in this sensational live production coming to your hometown! Catch all the heroic action when Buzz Lightyear, Woody, Jessie and the Toy Story gang escape from the rambunctious tots of Sunnyside Daycare and race for home, in their most daring adventure ever! A few new faces join the fun, including Barbie’s groovy bachelor Ken and Lots-o’-Huggin’ Bear. It’s the biggest Toy Story experience on ice, jam-packed with fast-paced adventure such as Buzz’s galactic battle with Emperor Zurg and a hoe-down at Woody’s Roundup. Rediscover the humor, friendship and charm of Toy Story when Disney On Ice presents Disney•Pixar’s Toy Story 3 takes family fun to infinity and beyond! Playing HP Pavilion at San Jose February 22 – 26 and Oracle Arena in Oakland February 29 – March 4, 2012! be sure to enter one of these redemption codes when purchasing your tickets! Right-click on the image below and select "Save Image As.." to dowload this fun coloring page! Disclosure: I am a Feld Family Ambassador, and in exchange for my time and efforts in attending shows and reporting my opinion within this blog, as well as keeping you advised of the latest discount offers, Feld Entertainment has provided me with complimentary tickets to Feld shows and opportunities to attend private Feld pre-Show events. The views and opinions expressed here are my own.